My munchkin turned three last weekend. June 12th to be exact. The last three years have been crazy but I don’t know where I would be without him. 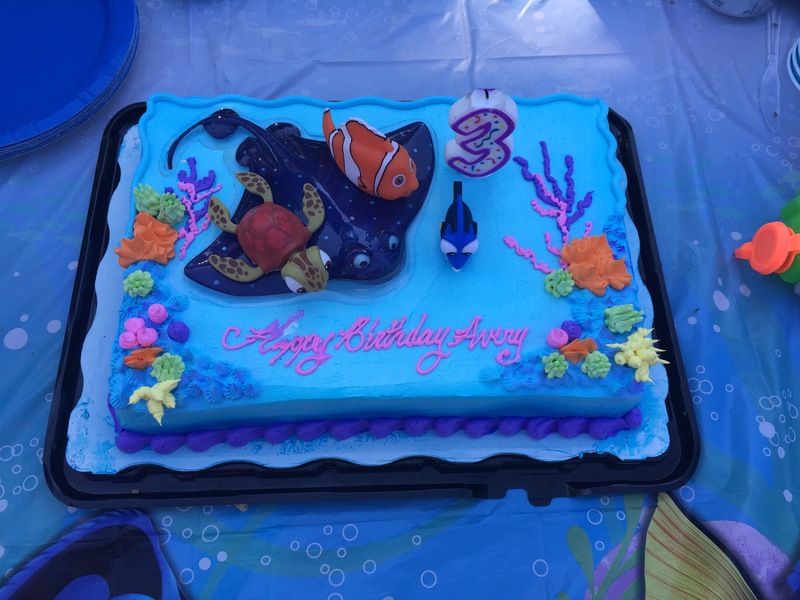 Because, he loved Finding Nemo so much we decided to throw a Finding Dory movie party. It wasn’t like the normal movie party. We moved to Saugus, Ma back in 2014. We had a financial hardship after my son was born so we moved in with my in laws. We’ve been here ever since. Since moving, I don’t know that many mommies out here. For that reason, it’s hard to plan for birthday parties. There’s not that many mommies out there that I know who have kids around the same age. Most of the cousins in my family are way older than my son. I was the last one out of myself and cousins that had a baby. So, we decided to take Avery to see Finding Dory. We treated the whole family. It was definitely a must see. The sequel wasn’t what other animated sequels were. The best part when “Finding Nemo” came out my baby brother was three. Now my munchkin is three and Finding Dory came out. Having my brother be there was bittersweet. It was a little long so we didn’t have the full on experience. Then, we came back to our house and had a little soirée. Nothing too big. Especially, it was Avery’s nap time by the time the movie let out. When we got back we a had a little barbecue and cake. As the budget mom I am, we purchased the cake at Walmart and only cost $23 for a 1/4 sheet. It was a great day. Normally we throw bigger parties for his birthday but doing something low key was just right. What a sweet birthday idea. Lovely cake. Isn’t is crazy how life works. Finding Dory was meant to be for the three-year-olds in your family. Congrats! Thank you. It’s weird how things fall into place.